He’s Got Game: The name Mike Ponluang doesn’t have Gordon Ramsay-like recognition nationally, but the Thailand native has serious culinary cred in local circles after pulling off the rarest of restaurant feats—back-to-back prolific runs at Thai Pepper in Coral Springs (1991 to 2006) and Coco Asian Bistro (2006 to present). Only the Best: Coco has distinguished itself in the always-competitive Asian cuisine arena with stellar sourcing (organic chicken, aged beef) for Ponluang’s authentic Thai and Asian fusion dishes, not to mention tender, melt-in-your-mouth sushi-grade fish from as far away as Alaska, Hawaii, Spain, Scotland and Japan. What’s new: In addition to go-to favorites like the sushi boats, whole red snapper (tossed with sweet chili sauce) and lobster or chicken pad Thai, Coco recently debuted some new items: moo krob (crispy pork belly, cucumber, scallions and more), goong krob (fried shrimp panko tossed in a spicy sauce) and Volcano pizza (mixed fish, conch, imitation crab, sushi rice and cheddar cheese served on seaweed). 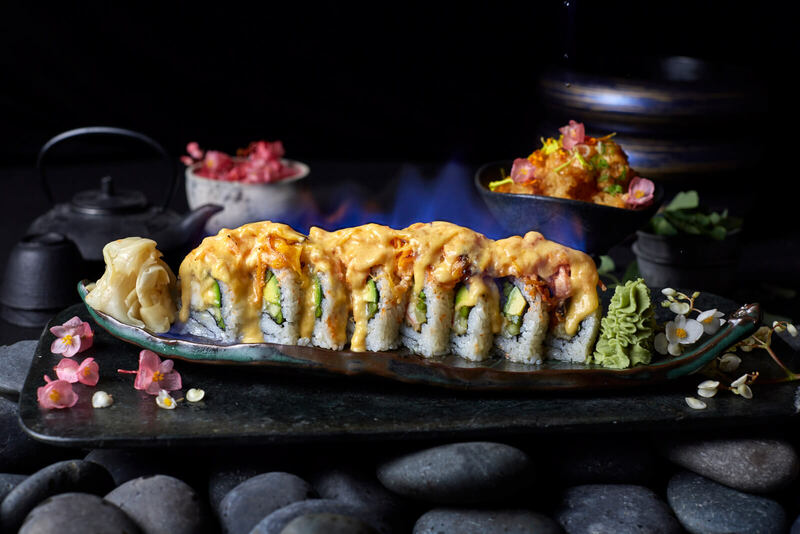 Lessons Learned: The artistry in presentations like the Lobster Volcano roll (lobster tempura, cucumber, avocado and more, topped with baked seafood and eel sauce flambé; pictured above) is matched by the kitchen skills Ponluang began to hone as a youngster at the restaurant run out of his family’s home and, later, as head chef at a high-end French restaurant in London. All the Right Notes: Unlike the heavy dose of stir-fry found at some Thai spots, Ponluang’s versatility and creativity (most of the recipes are his) gives Coco a menu that features broiled, baked, grilled and sautéed dishes bursting with flavor. It helps that he incorporates so many fresh herbs (think chili, cilantro, cumin, ginger, sacred basil, lemongrass and more).